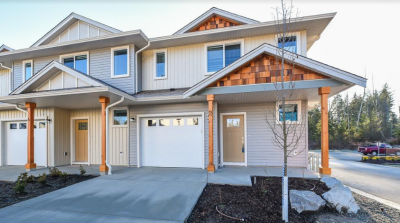 If you are looking for a brand new, energy efficient townhome for sale in a quiet area of a desirable community on Vancouver Island, consider Parkside Lifestyle Homes. This new townhome project in Courtenay, BC has received Gold Certification through BUILT GREEN CANADA®. These energy efficient townhomes offer the benefit of long term cost savings on water, electricity and gas bill savings of between $300 - $500 per year. As the the new homeowner of this BUILT GREEN GOLD CERTIFIED® townhome, you will enjoy a healthier, more durable home with a lower environmental impact and lower maintenance costs. According to the Canadian Home Builders Association, homes with green certification will sell for close to 10% more on average, protecting your investment for the long term. 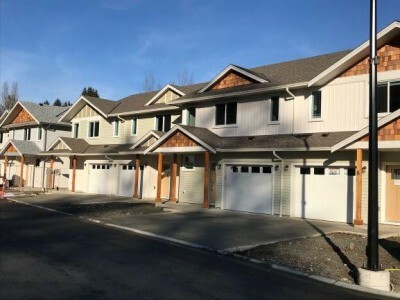 Built by Nicon Developments, an award winning builder of new homes on Vancouver Island for 40 years, these townhomes are built with quality workmanship. Phases 1 and 2 have sold out and construction is now underway on Phase 3. These new 1,220 sq. ft. townhomes include 3 bedrooms, 3 baths, six appliances, window coverings throughout, a large accessible crawl space, an enclosed garage, guest parking and a private playground within the property. 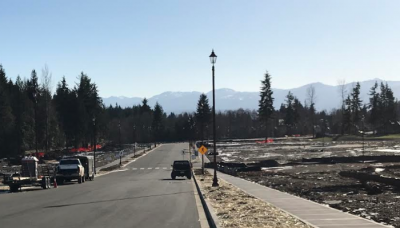 Located adjacent to Tarling Park in Courtenay at the end of a no-through road, these new townhomes for sale will be completed and ready for occupancy at the end of May. Four duplexes will be completed and ready for occupancy at the end of June. Prices of the homes range from $359,900 and $368,400 and the monthly strata fee is only $135 per month. For a limited time, there is a cash bonus of $10,000 available to buyers upon completion. These townhomes can be purchased as your primary home or can also be purchased as an investment and rented to tenants. The show home is open from 2 pm to 4 pm every Saturday and Sunday for Parkside Lifestyle Homes, located at 2109 13th Street in Courtenay, BC on beautiful Vancouver Island. 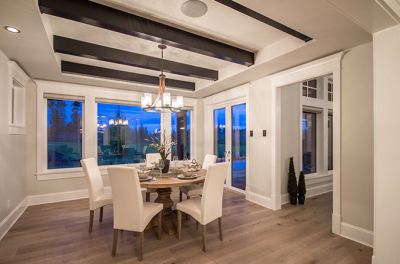 Candor Developments Inc. - a preferred builder at The Ridge in Courtenay - has just completed an 1,814 sq. ft. open-concept ocean view home. This beautiful 1-½ story home has 3 bedrooms, 3 baths and 17’ vaulted ceilings in the great room that open up to the spacious and bright kitchen. This area also features 3 skylights and a natural gas fireplace, providing a sunny and cozy area all year long. 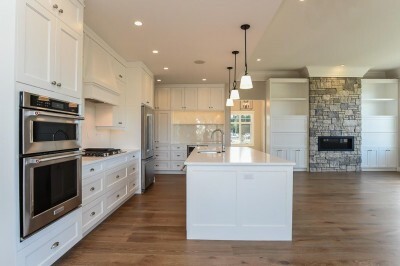 The kitchen features floor to ceiling white shaker cabinets, shaker back island, quartz countertops and a corner pantry. In addition to all the great finishings, large windows overlook the Beaufort Mountains from the kitchen and dining room. A beautiful glass door leads you onto the covered back patio complete with timber frame and a natural gas bbq hook-up. Upstairs you’ll find 3 bedrooms, 2 bathrooms and an oversized laundry room. 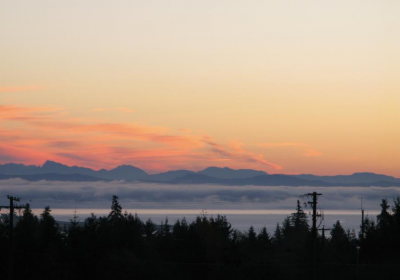 The 2 front bedrooms offer stunning views of the coastal mountain range and Comox Harbor. The laundry room comes complete with vanity sink, tile floors and a skylight. The master bedroom has vaulted ceilings and sunset views of the Beaufort mountains. The en-suite features custom tiled showers and floors, double sinks, white shaker cabinets and elegant lighting. Completing the master suite is a large walk-in closet with upgraded shelving. This home is fully equipped with a Daikin heat pump and HRV system that work together through solid 6” ducting leaving you comfortable year-round. This home is available for immediate occupancy and is priced at $639,000 + GST, and backed by a new home warranty. An Open House is held at 3395 Harbourview Blvd. in Courtenay BC on Saturdays from 12-2pm. 3404 Harbourview Blvd is a 2,372 two storey home that will be ready for occupancy in late April and is priced at $749,000 + GST. Located on a .28acre lot complete with RV/Boat parking and stunning views. 4199 Chancellor Crescent is a 2,508 sq. ft. home that will be ready for occupancy in June and is priced at $749,000 + GST. This modern rancher with a bonus room features arctic white siding. Only one 1,820 sq ft patio home remains available for sale at The Gales. Unit 19, built as a side by side duplex is currently listed at $609,900. From the moment you enter the grand foyer you'll appreciate the high-end finishings. Hardwood and tile, heated bathroom floors, amazing cabinetry and granite/quartz counters, gorgeous ensuite and beautiful fireplace feature wall make for stylish living. Tech wiring, a heat pump, HRV unit (for fantastic air quality and efficiency) and other Built Green Platinum features create a comfortable home. For more information on available homes and future plans at The Gales, contact Realtor Keith Mazurenko of Royal LePage Nanaimo Realty at 250.245.0545. The Gales in Ladysmith features beautiful views of surrounding nature and oceans, and the builders and developers are working to protect this green space by building new homes to the BuiltGreen Platinum level. 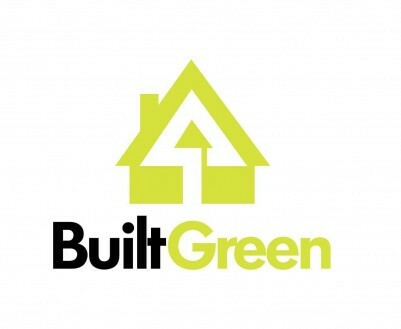 This is the highest level of BuiltGreen certification, which provides a number of benefits to home owners. The Gales is a well-established community on Ladysmith on Vancouver Island. Award-winning GNB Builders continues to add luxury oceanview patio homes and ranchers to the development. Your new home is 9 minutes to golf, 10 minutes to the airport and only an hour to Victoria! Crown Isle Realty has a team fully experienced and knowledgeable about all aspects of real estate in the Crown Isle Resort & Golf Community. Here are three listings of homes for sale in the desirable Crown Isle community. Enjoy breathtaking fairway and water views from this beautiful ground floor unit. With an oversized patio, this unit is a must see! The kitchen comes equipped with top of the line appliances and an oversized granite island. The 5 piece ensuite has beautiful Italian mosaic tile along with a built-in (6-headed) massage shower. Heated flooring is featured in both bathrooms and the kitchen. This unit also comes with a triple-sized storage locker, perfect for storing seasonal items and recreational equipment. This condo is just minutes from shopping, North Island College, the new hospital and medical services, recreation centre and so much more. Enjoy the expansive views of Mt Washington and the 10th fairway of Crown Isle's platinum rated golf course from the upper deck of this stunning new home. Only 6 months old and no GST, this home showcases quality workmanship and a high level of finishing details and millwork. A builder's own home, 2,626 sqft, 3 BD/ 3 BA plus den, offers an open concept floor plan, bonus room with wet bar, 3-piece bath and lounging deck on the upper level. The main kitchen is complete with s/s appliances, pot filler, 36" gas cooktop, quartz counters, coordinating backsplash and waterfall styled central island. Floor to ceiling ledgestone rockwork, contemporary horizontal fireplace and coffered ceilings add to the splendour of the great room. A covered patio with access from the dining room and master bedroom lead to a hot tub and large yard. This beautifully kept 3,690 sqft home is located on a quiet street within the prestigious Crown Isle Golf Community. Upgrades include heat pump, security system, new stainless steel appliances with gas range. The family room and dining room is spacious and bright. The spacious master bedroom comes equipped with a cozy natural gas fireplace, good sized closet as well as a spa-like 5-piece ensuite with freestanding soaker tub and a tiled walk-in shower. The large family room leads to a private, fully fenced back garden. This home also features a concrete tile roof. This home has a large 5’5” crawl space and a 3-car garage. Seeking more information about real estate and homes for sale in the Crown Isle Community? Contact Bert Jaeger, Realtor at Crown Isle Realty Ltd.
More than 100 families are already happily settled into their new homes in Phases 1 and 2 of The Ridge in Courtenay, BC on Vancouver Island. The developers have now finished the road and site construction on Phase 3 which includes 47 new home lots with access from Fraser Road. 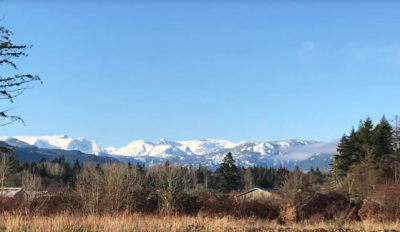 The lots in this new phase are sited higher on the property and most offer spectacular views of the Comox Glacier, Comox Bay, the mainland mountains and the local Beaufort Mountain range in the Comox Valley. All of the new homes in this phase have been zoned to accommodate secondary suites which can be used as a separate suite for family members or guests or to generate rental income. You also have the option of building any style of home at The Ridge, including a two-storey home, a rancher or bungalow-style of home with or without a basement, or a split-level home. When deciding on your new dream home at The Ridge, you can choose to work with one of their preferred builders or bring in a builder of your choice. The Ridge's preferred builders have the experience of building homes to suit the lot you choose and to design your new home to best highlight the spectacular mountain and ocean views. New lots in this phase are priced starting at $210,000. Prices of new homes at The Ridge start at $629,000. Find out more and read about what happy residents have to say about living at The Ridge. Two new rancher/bungalow-style homes are for sale in Courtenay, BC on Vancouver Island. The spacious floorplans feature approximately 1,800 square feet in size and will have 3 bedrooms and 2 baths. The lots in this new subdivision are huge! They have approximately a 70-foot frontage and they are up to 280 feet deep. The depth of these lots allows for a detached building for a workshop or home-based business on the property or you can build a pool, large patio or playground in the backyard. All of the homes will be built by Southwind Development Corporation, an experienced builder with over 25+ years of experience, known for their quality construction. 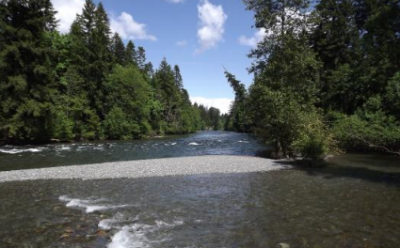 This project will contain 20 new rancher style homes when completed and this property is located adjacent to the nature sanctuary known as Ruth Masters Park which is located close to the Puntledge River. This desirable location is also within walking distance to Courtenay Elementary School, Ecole Puntledge Park Elementary School, Lake Trail Middle School and downtown Courtenay. These new homes for sale are located on Grayhawk Place at 1st Street in Courtenay, BC on Vancouver Island. Continuing our feature on the new home builders at Crown Isle, this month we highlight Integra Homes. The 831-acre master-planned residential and golf community of Crown Isle has been designed to include single-family homes, patio homes, fairway homes, a gated community and condominiums. 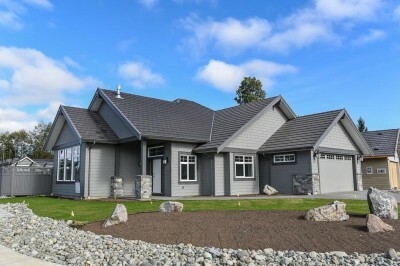 There is a diversity of homes styles that appeal to families, empty nesters or people who want to relocate to experience a taste of the Vancouver Island lifestyle. Crown Isle's premier builders have been an integral part of the community's success, building new homes for the residents of Crown Isle. 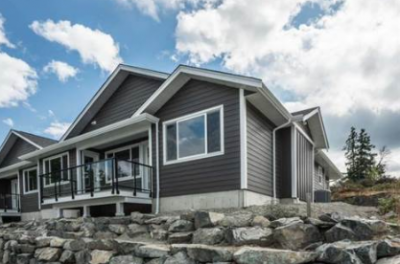 Bill Larson, the owner of Integra Homes, has been a custom home builder for more than 20 years and has been involved in the construction of over 100 custom homes in the Crown Isle community. Bill is currently leading several teams building custom homes in the Crown Isle Resort and Golf Community. He likes to meet with each one of his clients in person to get a first-hand account of what they would like that will suit their family and their lifestyle. Built Green Homes are good for the earth and good for the homeowner! The developers and builders of The Gales, a new Vancouver Island real estate development in Ladysmith know the importance of both, and are building high-quality homes, designed with eco-friendly options to make for more comfortable homes that save homeowners money. New homes at The Gales are built to the highest level of BuiltGreen certification - Platinum - and offer homeowners a number of money-saving benefits, as well as environmentally friendly construction processes. Built Green Platinum homes offer lower monthly operating costs thanks to things like energy efficient appliances, furnaces, windows and insulation. Water efficiency is achieved through plumbing and landscaping choices. Air inside the homes is cleaner with fewer allergens, and more comfortable with fewer drafts and more consistent temperatures. These energy efficient homes offer the benefit of long term cost savings on water, electricity and gas bills saving between $300 - $500 per year. According to the Canadian Home Builders Association, recent research has shown that homes with Built Green certification will sell for close to 10% more on average, protecting your investment for the long term. The Gales is now a well-established community in the Town of Ladysmith on Vancouver Island. Award-winning GNB Builders continues its tradition of building modern, luxurious patio homes, two of which are currently listed for sale. These 1,820 sq ft patio homes are built as a side-by-side duplex and are listed at $609,900 - Suite #19 and $619,900 -Suite #18. An additional two new rancher-style homes are set to begin construction soon. These new 1,820 sq ft homes are expected to start at $614,900. The Comox Valley has so much versatility to offer with regards to wildlife and surrounding nature. Many people come to the Comox Valley to visit and end up living here because of the beauty of the Comox Glacier, surrounding mountains, Goose Spit, the historical estuary, Mount Washington, the rivers, forest trails, and many recreational activities. Known as the Land of Plenty, the Comox Valley offers a smorgasbord of activities for all ages to enjoy. A unique success story, the Trumpeter Swan population has rebounded from their near extinction in the 1930s. The population has now grown to an estimated 26,000 birds in North America. 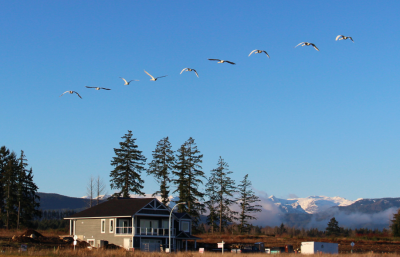 Approximately 6,000 birds make a winter stop on Vancouver Island with a majority of them coming to the sanctuary of the Comox Valley. They start arriving in November and stay until February and can be seen gathering on agricultural lands, fields and grassy areas near the water, where they like to forage at low tide. They spend the winter in these areas before heading north to Alaska in March for the breeding season. These majestic birds, the largest in North America, can weigh up to 12 kg and measure 150 cm from beak to tail. They have a wingspan of up to 2.5 metres. They are the largest species of waterfowl on the planet. When you hear the “honking” of the trumpeter swans, your natural inclination will be to look towards the sky to see these elegant birds in flight. Truly, an amazing experience for both visitors and residents. Interested in moving to the Comox Valley? Contact us for more information on buying or building a new home here. For more information on building lots for sale in the Comox Valley at The Ridge, contact Bruce Clapham at 250.650.8588 or email: theridge.bruce@mail.com. The 831-acre master-planned residential and golf community of Crown Isle has been designed to include single-family homes, patio homes, fairway homes, a gated community and condominiums. There is a diversity of homes styles that appeal to families, empty nesters or people who want to relocate to experience a taste of the Vancouver Island lifestyle. Crown Isle's premier builders have been an integral part of the community's success, building new homes for the residents of Crown Isle. Today we highlight Benco Homes, a premier custom home builder in Crown Isle, now building new homes at The Rise and Cambridge Estates, the newest subdivisions in Crown Isle. Starting with the Crown Pointe patio home development more than 25 years ago, Ben Christensen of Benco Ventures has continued to build friendships and homes in Crown Isle. In that time, thanks, to repeat business & client referrals, Benco Ventures has built more than 300 homes in Crown Isle. Benco is known to maintain the highest level of construction quality, design and post-completion service. Their success is due to their team of second generation builders Ben Christensen and his siblings, and 30 talented long-time employees. From the ground level, setting the home elevations, to the finishing touch-ups, this hands-on approach ensures a quality crafted Benco home. 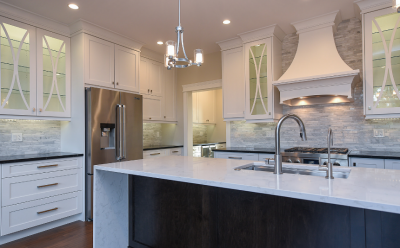 To view the design and quality in person, visit the Show Home and Design Centre at 1768 Crown Isle Drive, which showcases their homes and custom finishes. A member of the design team is on hand to answer your questions. The Benco team looks forward to making and maintaining new friends within the unique Crown Isle Golf Resort Community in the beautiful Comox Valley. Parkside townhomes are Built Green Canada Certified to a Gold level. This ensures a healthy and energy efficient living space for your family for years to come. Located adjacent to Tarling Park in Courtenay, these new townhomes are in the perfect spot to enjoy the nature of the surrounding area. Some homes back directly onto Tarling Park, giving the homeowners privacy and a beautiful view of the forest. Parkside Lifestyle Homes is located at the end of a no-through road, close to schools, parks, trails and downtown Courtenay. This West Courtenay townhome development also features a private playground within the common area for your family and guests to enjoy. For a limited time, a bonus of $10,000 is being offered on the purchase price of the homes which range from $359,900 and $368,400. Come and take a tour of these well-appointed townhomes, located in a quiet and central area of Courtenay. 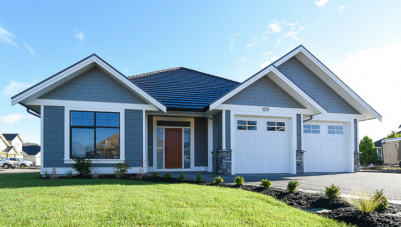 A show home is open from 2-4 pm every Saturday and Sunday for Parkside Lifestyle Homes, located at 2109 13th Street in Courtenay, BC on beautiful Vancouver Island. 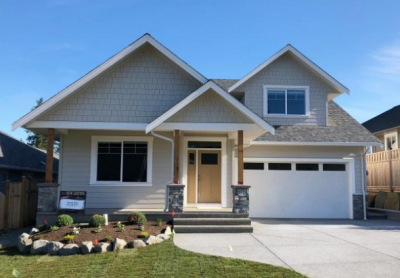 Lawmar Contracting, one of the preferred builders at The Ridge in Courtenay, is now selling a newly completed 2,336 sq. 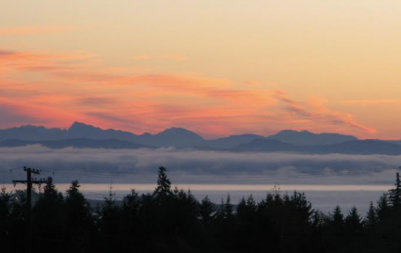 ft. two-storey home with panoramic views of Comox Bay. The heart of the home is the great room, designed with vaulted ceilings open to the second storey. This open space floor plan opens up to the modern kitchen with custom white cabinets, a black backsplash, an eating bar, quartz counter-tops and modern lighting. The kitchen is open to the living room space which features a gas fireplace, a dining area and a sliding glass door to the outside deck. The large skylights bring the feeling of the outside of the home to the inside. From the outside deck, you can enjoy ocean and mountain views. The same view can also be enjoyed from the dining room and master bedroom, which is located on the main floor. The laundry room can be accessed from both the garage and the kitchen. This home features 3 bedrooms plus a den/office space and 3 bathrooms. 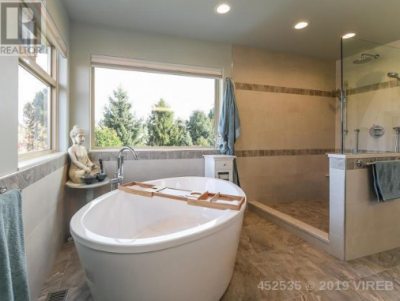 The master bedroom includes an elegant ensuite with a soaker tub, a separate shower, floating cabinets, a radiant heated floor and double sinks. A large walk-in closet is located adjacent to the master bedroom. This new home for sale features a contemporary and open design on the interior and a heritage-style design on the exterior. This beautiful home has all of the room you and your family need to share space, yet have your own privacy. The attached garage has parking for two cars and more parking for additional vehicles in the driveway. 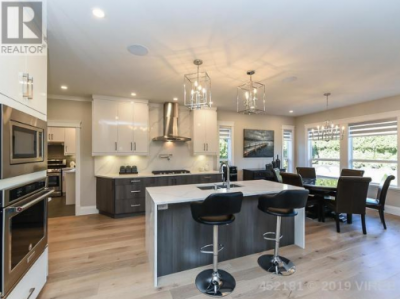 Contact Lawmar Contracting for more information on this home for sale which is located at 4190 Remi Place in Courtenay, B.C. Price at $699,900. View the listing on MLS #448508. For more information about additional available homes and lots for sale at The Ridge, visit their website. 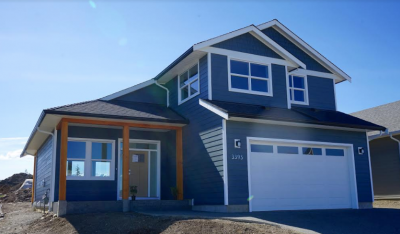 Construction has been completed on the final phase of Cambridge Park Estates, a new subdivision in the Crown Isle community in Courtenay on Vancouver Island. Registration is expected to be complete in early February. New home lots will be available off the golf course starting at $257,500 and on the golf course starting at $325,000. This final phase will link to the south end of Crown Isle Drive at Norfolk Way to Kensington Crescent and Royal Vista Way. Once registration is in place new home construction is expected to be underway by custom home builders. In addition to the new subdivision at Cambridge Park Estates, registration is now complete on all 69 lots in The RISE Phases III & IV. THE RISE is located on Crown Isle Blvd., in Courtenay, BC. A number of builders including Crown Isle Homes, Integra Homes, Benco Ventures and Monterra West Homes, Island Zen Properties and Cameron Contracting are in the process of starting construction on the new homes in this new extension of Crown Isle Blvd. Come and visit the newest Crown Isle communities in Courtenay on beautiful Vancouver Island. You have many options when choosing your new residence in the Crown Isle Community. You can build your own custom home, work with one of Crown Isle's preferred builders, or choose an existing home listed on the MLS. They offer full real estate services through Crown Isle Realty. "No one knows Crown Isle like we do!" The new home community of The Ridge, located in the Comox Valley on Vancouver Island, already has more than 100 new homes built by their preferred builders. 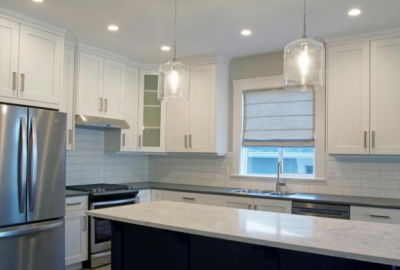 In this update, 1stView highlights three new homes for sale and ready for occupancy by builders Lawmar Contracting, Coastal Custom Homes and Brando Construction. Take a tour and enjoy the amazing views at The Ridge! New two level 2,336 sq. ft home offers space for 3 or 4 bedrooms plus 2.5 baths. The master bedroom includes an elegant ensuite with a soaker tub, separate shower, floating cabinets, a radiant heated floor and double sinks. The master bedroom also has access to a large walk-in closet with built-in shelving. Vaulted ceilings reach the second level of the house in the great room, which is open to a modern kitchen and dining room. An outside deck is located off of the dining room, with easy access for barbecuing and entertaining. This home features a heritage-style covered front porch and has amazing views of the Beaufort Mountains. The focal point of this contemporary rancher style home is the see-through indoor/outdoor luxury gas fireplace extending the living space to enjoy the outdoors from inside of the home. The large deck with glass panels is accessible from the great room and you are only steps away from cozying up to the outdoor fireplace while enjoying unobstructed views of Comox Bay and surrounding mountains. The outside deck has been wired for Bluetooth compatibility so you can listen to your favourite playlist on the outdoor speakers. This 2,010 sq. ft. home, designed in a transitional style, includes 3 bedrooms and 2.5 baths. The modern two-tone kitchen includes a large island with seating area and custom cabinetry finished in “cloud white” and “ebony” with quartz counter-tops. Additional features include electrical wiring for an electric or hybrid vehicle, two car garage, landscaping completed and underground sprinklers installed. This 2,159 sq. ft. two-storey home features 3 bedrooms, 2.5 baths, a modern kitchen with quartz countertops and a large island. 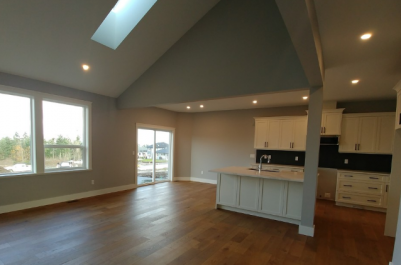 The open concept design on the main floor features a spacious great room with a gas fireplace and the dining room is located beside the bright and sunny kitchen. The master bedroom and ensuite are also located on the on the main floor. Two other bedrooms, a bathroom and large family room (21’ by 14.9’) are located on the second floor. Also included are a two car garage, a heat pump and Hardi plank exterior finishing. This family-friendly home has been completed and is available for immediate occupancy. Coastal Custom Homes, one of the preferred builders at The Ridge in Courtenay, will have a new custom home ready for occupancy this April. This bungalow-style home offers 2,010 sq. ft., built in an open concept style. 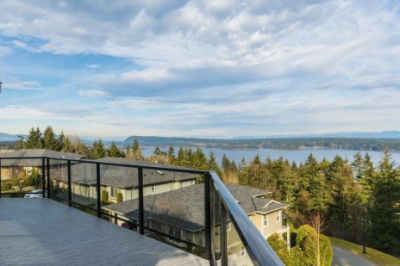 This home features stunning views of Comox Bay and the Mainland mountains. A large deck, accessible from the dining room and featuring an indoor/outdoor fireplace, is the spot to take in these ocean views. This custom-designed home features 3 bedrooms and 2.5 baths. Contemporary finishes are included throughout, including a gourmet kitchen with quartz countertops, custom cabinetry and high-end modern lighting. The great room includes a 12-foot high ceiling in the foyer and living room, and opens to the separate dining room and kitchen. You'll enjoy the spacious master bedroom and luxurious ensuite. The two other bedrooms can be used as bedrooms of course, or for an office, an exercise or hobby room, a media room or a library. This Coastal Custom Homes design includes a large 10’ by 8.5’ laundry/mud room with built-in cabinets which is accessible from the garage and the kitchen area. This new home for sale has a two-car garage with additional parking in the driveway for family and guests. 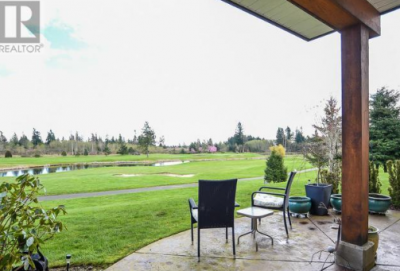 This home is located in The Ridge community in south Courtenay on Vancouver Island. Come and take a drive through and find out why more families are choosing The Ridge as their preferred home location in the Comox Valley. Located at 4166 Chancellor Crescent in Courtenay, B.C. - landscaping and even guest parking! In addition, a small playground will be installed for your family and guests to enjoy. All of the Parkside townhomes are Built Green Canada Certified. This ensures a healthy and energy efficient living space for you and your family. A Built Green home reduces maintenance and repair costs and offers efficient heating and cooling costs. Built by experienced and award-winning builder, Nicon Developments Ltd., these homes are built to last for years to come. The townhomes are built alongside Tarling Park, a large nature park owned by the City of Courtenay, ensuring a quiet place to live while enjoying the natural forest. New research documented in Forbes Magazine says that living near a forest makes people happier. These homes are priced between $359,900 and $368,400. For a limited time, a bonus of $10,000 is being offered on the purchase price of the homes. A show home is open from 2pm to 4pm every Saturday and Sunday for Parkside Lifestyle Homes, located at 2109 13th Street in Courtenay, BC on beautiful Vancouver Island. With stunning ocean views and forest trails at your back door, living at The Gales in Ladysmith means living in nature. The developers and builders of this Vancouver Island new home development are focused on protecting this green space while building homes of the highest quality. New homes at The Gales are built to the BuiltGreen Platinum level. This is the highest level of BuiltGreen certification and provides a number of benefits to home owners. According to the Built Green website, owners of Built Green enjoy healthier, more durable homes with lower environmental impacts. Built Green Platinum homes offer lower monthly operating costs thanks to things like energy efficient appliances, furnaces, windows and insulation. Water efficiency is achieved through plumbing and landscaping choices. Air inside the homes is cleaner with fewer allergens, and more comfortable with fewer drafts and more consistent temperatures. The Gales is a well-established community on Ladysmith on Vancouver Island. Award-winning GNB Builders continues its tradition of luxury home building with new patio homes, two of which are currently listed for sale. These 1,820 sq ft patio homes are built as a side-by-side duplex and are listed at $599,900. An additional two new rancher-style homes are set to begin construction soon. These new 1,820 sq ft homes will start at $614,900.